Google is the Big Brother of the online world with unlimited access to your search history. It collects mountains of data from you, a lot from your search activity. However, the search giant also offers ways you can limit the amount of data on you – although they are not always easy to find. That’s all changing as Google has simplified the process of both seeing and deleting your search activity. Rather than going to your Google account, you will be able to see your history every time you search for something. When you search for something using Chrome, you’ll be able to manage your entire search history without leaving the browser. In desktop Chrome, you have to click the new “Control your data in Google Search” link under the Google Search, and I’m Feeling Lucky buttons on Google’s home page. Or, you can go to Settings > Your data in Search option from a search results page. As a result, you will bring up your full search activity page for your account. From there, you will be able to see all your recent activity, delete individual results or full days of history using the three dot menus beside each search term. On the first Your data in Search page, Google has added buttons that let you either delete your search activity for the past hour or nuke your entire search history if you want to start all over. You’ll also find quick toggles for Web & App Activity, and Voice & Audio Activity, so you can quickly turn off access, as well as Ad personalisation settings. A secure web is what we all want. That’s why I wanted to bring you this post from Emily Schechter, Chrome Security Product Manager. Chrome makes it as easy as possible to set up HTTPS. Mixed content audits are now available to help developers migrate their sites to HTTPS in the latest Node CLI version of Lighthouse, an automated tool for improving web pages. The new audit in Lighthouse is helping developers find which resources a site loads using HTTP. Plus, those ready for upgrade to HTTPS simply by changing the subresource reference to the HTTPS version. This is excellent news, Emily. Should You Use Chrome or Microsoft Edge? Are you using Google Chrome? Have you noticed a few notifications over the last few months in your Windows updates? Microsoft is trying its hardest to sell its rival browser, Microsoft Edge, by telling you your current browser is rubbish. The pop-up ad you’ve been seeing appears in Windows 10’s Action Centre whenever you open Google Chrome. It states: ‘Chrome is draining your battery faster’ and encourages you to switch to Microsoft Edge for longer usage times. It’s easy to turn these off if you want to by heading to Settings, then System, then click Notifications & Actions from the side bar on the left. From there, scroll to ‘Get tips, tricks and suggestions as you use Windows’ and flick the switch to off. Windows should then keep its ”suggestions” to itself. But is Google Chrome draining our battery? The simple answer is yes. It is one of the worst browsers for battery life, reportedly lasting three hours less than Edge. The problem with switching to Edge is that it has a real shortage of extensions; nowhere near the range that you can have running simultaneously on Chrome. Of course, if you’re not running any extensions you’ll probably find Edge will run faster and as Windows reminds us, run for longer. Author itsupportbloggerPosted on July 26, 2017 July 25, 2017 Categories Google Chrome, MicrosoftTags Google Chrome. Microsoft EdgeLeave a comment on Should You Use Chrome or Microsoft Edge? As one of the most popular browsers, Google Chrome facilitates the use of the internet for millions of users worldwide. To make sure you’re always protected by the latest security update, Google Chrome can automatically update when a new version is available. Updates usually happen in the background when you close or reopen your browser. That’s all well and good but what about the users who don’t close their browser? To update, open Chrome, click “more” in the top right and then click “Update Google Chrome” then click relaunch. If the update option isn’t shown, you’re already using the latest version. If Google Chrome is installed in your Applications folder, you can set up automatic browser updates. Go to “About Google Chrome” and look for the “Set Up Automatic Updates for All Users” button. Then, close all Chrome windows and tabs on your desktop and relaunch to apply the update. 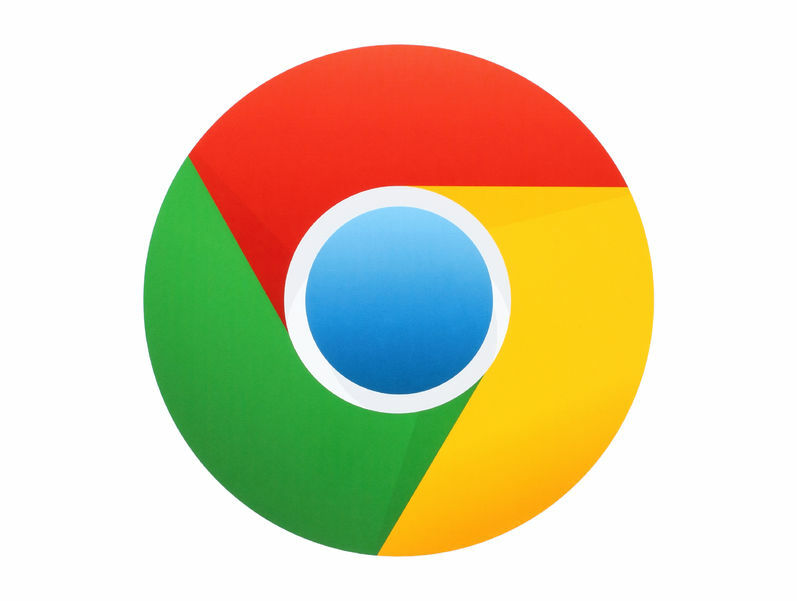 Over 62% of the world’s PC owners use Google’s Chrome browser. Although popular, it’s well known for sucking the life out of laptop batteries. You’ll be pleased to hear that Google is making efforts to improve this, but in the meantime, here are six tips that will get Chrome’s battery usage under control without sacrificing functionality. As with all OS, it’s important to keep Chrome up to date. To check your version of Chrome is up to date, type “chrome://help/” into the address bar and hit enter. You will then see a version number and a link to check for and install updates or a notice saying that Google Chrome is up to date. One of the best bits of the modern browser is the ability to have multiple tabs. One or two is fine, but when you end up with 20 or more open your battery pays the price. Getting rid of tabs is a good start, but if you don’t want to change your usage, suspending tabs can be even better. To do this, you can use the Great Suspender tool. If you don’t use a tab for a few minutes, the device will unload it, removing its workload on your computer but keeping the tab there ready to go again when you need it. All you have to do is click on the tab to reload it and continue where you left off. Extensions are part of what makes Chrome great, but each extension added to Chrome can increase its load on your computer, slowing it down and eating more battery life. Type “chrome://extensions/” into the address bar and hit enter. Then all you have to do is click the box to either disable them or the bin icon to remove them entirely. Even after closing Chrome, it might stick around, consuming power unnecessarily. To stop it from happening on Windows, find the Chrome icon in your system tray on the right-hand side of the screen (usually hidden under the little arrow). Right click on it, and uncheck “Let Chrome run in the background”. To then run all the web apps you might have installed, such as Hangouts or Signal, you’ll have to keep Chrome open. But at least when you close Chrome it will shut off. Another tool Chrome uses for web apps that could be draining your battery life unnecessarily are background pages. One that is relatively heavy that you may or may not use or know you have enabled is Google Drive offline access for Docs, Sheets, Slides and Drawings. To turn it off go to drive.google.com, click the settings cog in the right-hand corner and uncheck the box for Offline. You can re-enable it should you find you do need it at a later date. Many of the most demanding and therefore battery-draining elements on a page require a plug-in to run, such as Adobe’s much-maligned Flash. The easiest way to save battery with plugins is to make them request to run each time. Then you can click and run the ones you want on the page without letting any of the others run unnecessarily. Type “chrome://settings/” into the address bar. Hit enter. Click the “Show advanced settings” link to expand the menu and click the box marked “Content Settings … ” under Privacy. On the latest version of Chrome scroll to “Unsandboxed plug-in access” and make sure the box marked “Ask when a site wants to use a plug-in to access your computer” is checked. It’s also worth checking the box marked “Block sites from running Flash” under Flash, although you may use some sites and services that still require Flash – you can add these as exceptions. Are you a Firefox devotee or do you prefer the good old fashioned Internet Explorer? Whichever rocks your world, maybe it’s time to consider a change. What about the (not so) new kid on the block? Those of you of a certain age may be forgiven for thinking the image above is of that really annoying but highly addictive Simon electronic game. But no – welcome to Google Chrome. When it was first launched, Google Chrome didn’t make huge waves. Yes it was very fast but it didn’t offer the user many features. Well two and a bit years on and Chrome has come of age. It has added features such as foreign language page translation and web apps – but it hasn’t slowed down so it still out performs Firefox and Explorer. One of the best features of the latest version (10) is the refinement of Google’s instant search. Now, Chrome predicts what site you want to visit and loads the page as you type the URL. Admittedly that can be a bit freaky the first few times you use it but it really is pretty cool. But one the best things about Chrome is its apps. There are free and paid ones available and range of simple bookmarks to applications such as Tweetdeck. If you haven’t dabbled in Chrome yet, have a go. Once you’re used to it you’ll probably never want to go back to your old browser again.